Emerald is a vivid colour often used to symbolise vitality and faithfulness. With it’s rich green allure, the emerald has splashed across the pages of fabled stories and fashion magazines, coveted by explorers and queens, spiritual seekers and brides-to-be. It is the vivid green colouring of the emerald that has made it a favourite with traditional and contemporary jewellers alike. Emeralds emulate the beauty of the natural world from which they are formed, their colour signifying the reappearance of springtime, fertility, health, life and rebirth. 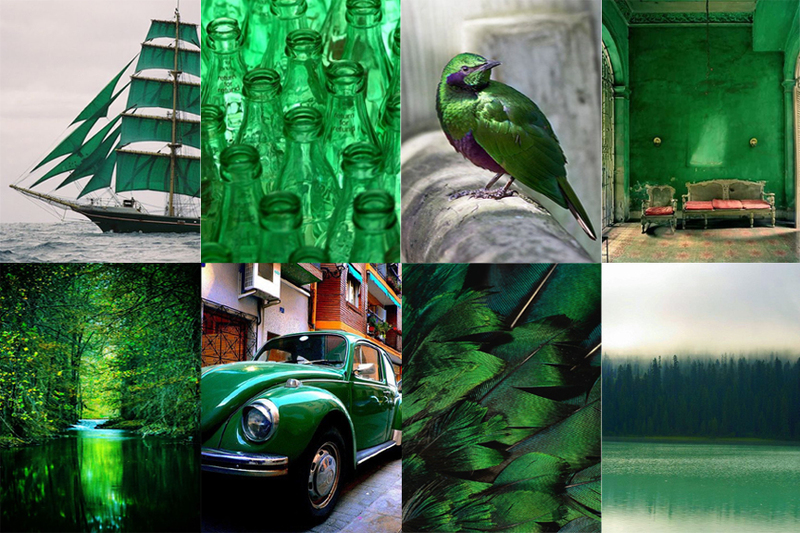 For centuries, emerald green has also been the colour of beauty and of faithful, constant love. This month, we celebrate the emerald as the traditional birthstone for May. 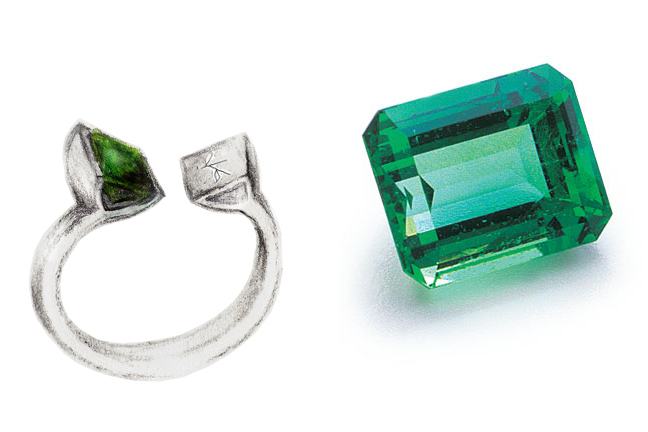 Green by definition, emeralds derive their name from the Ancient Greek word, smaragdos. They are the green variety of beryl, which comes in a variety of other colours that are sometimes used as gems, such as blue aquamarine. Only gems that are medium to dark green in tone are considered emerald; light-toned gems are known as green beryl. Emeralds occur in hues ranging from yellow-green to blue-green, and a fine emerald should be vivid. You will find that an emerald ring will have a colour that subtly changes between the natural daylight and the artificial light of a lamp, offering a stunning nuanced vitality. In the grading of emeralds, colour is by far the most important criterion. The more vivid the colour, the more valuable the emerald. Clarity is also very important, however, fine inclusions do not diminish their value. Even with inclusions, an emerald that holds a deep, lively green will still have a much higher value than an almost flawless emerald of paler colouring. Inclusions in an emerald are markers of its identity. Specialists call them jardin (French for ‘garden’) as a poetic reference to small, tender green plants that grow naturally in the emerald’s garden. Many people today seek out emerald jewellery for the symbolic nature of its colouring, which draws out associations with vitality and faithfulness, making it a natural choice for engagement rings or custom concept-based designs such as the celebration of life. Talk to us today about how we can use emerald gemstone in a special piece for you! 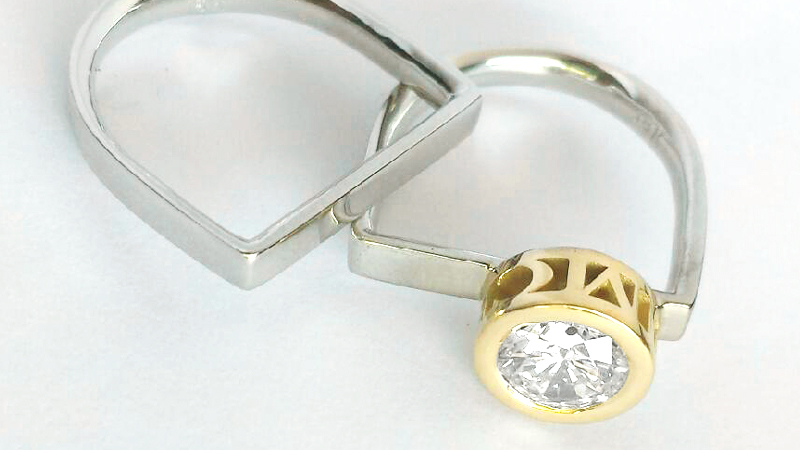 Have a look at our other gemstone jewellery here. This entry was posted in Special Interest and tagged emerald, stone on May 14, 2015 by admin.